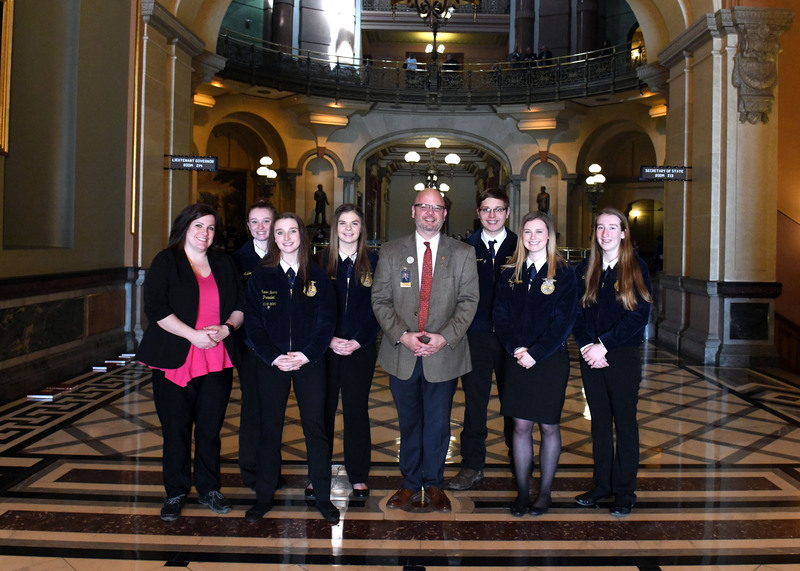 State Representative Jeff Keicher, R-Sycamore, welcomed youth from the Genoa-Kingston FFA chapter to the State Capitol on Tuesday during the annual Agricultural Legislative Day in Springfield. Agriculture is a vital industry in DeKalb County and throughout the State of Illinois. Representative Keicher is proud to support and encourage the future farmers of America here in Illinois’ 70th District.